This office was started in order to treat patients with severe pain problems. We give our patients hope, hope that we will be able to solve their inexplicable complaints. In order to give the best possible treatment, we utilize knowledge from the physical/manual therapy, and acupuncture. Diet advice is also given. This means that during treatment, we do not limit our treatment to one technique or method. Each patient receives individualized treatment in order to get the best possible results. If needed, we also can obtain advice from specialists of the Amphia Hospital Breda or from our foreign relationships. We have had a close relationship with the Pain-clinic of Amphia Hospital since 1986. Many patients come to us with a referral from this Pain-department. Normally the treatment takes one hour. Sometimes a longer time is necessary. We have special interest in Whiplash, Posttraumatic Dystrophy, Pelvic instability and Crybabies. There is no waiting list for crybabies. About Anton van Berkel. PT., Bac., IMT.C. Anton has completed many courses in Europe, Asia and America. He is Massage Therapist since 1968 and Physical Therapist since 1970 (NL). 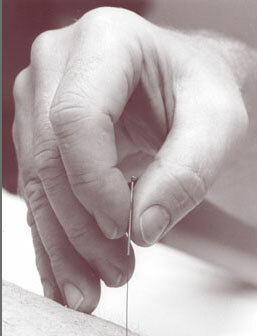 Has a Bachelors Degree in acupuncture (UK) and is certified in Integrative Manual Therapy™ (USA). He is member of the Royal Dutch Association of Physical Therapy (KNGF), the Dutch Association of Acupuncture (NVA) and the International Association of Healthcare Practitioners (IAHP). FL, USA. He received a Master of Science degree at Westbrook University in 2010. The cost will be partly paid by most insurance companies. This depends on how the insurance company covers Alternative Medicine treatments. A referral is not necessary.